I’ve recently had my eyes opened to a whole new craze in organising, known to those in the know as the “bullet journal”. What is this thing you speak of, I hear you say! Well, I’m just on a journey of discovery myself so I’ll keep you posted, but for now I have gathered the following and can tell you this much – it is a place where people who tend to have a lot of lists floating around can keep all of their lists together in one place! It’s a personalised fully customisable system. 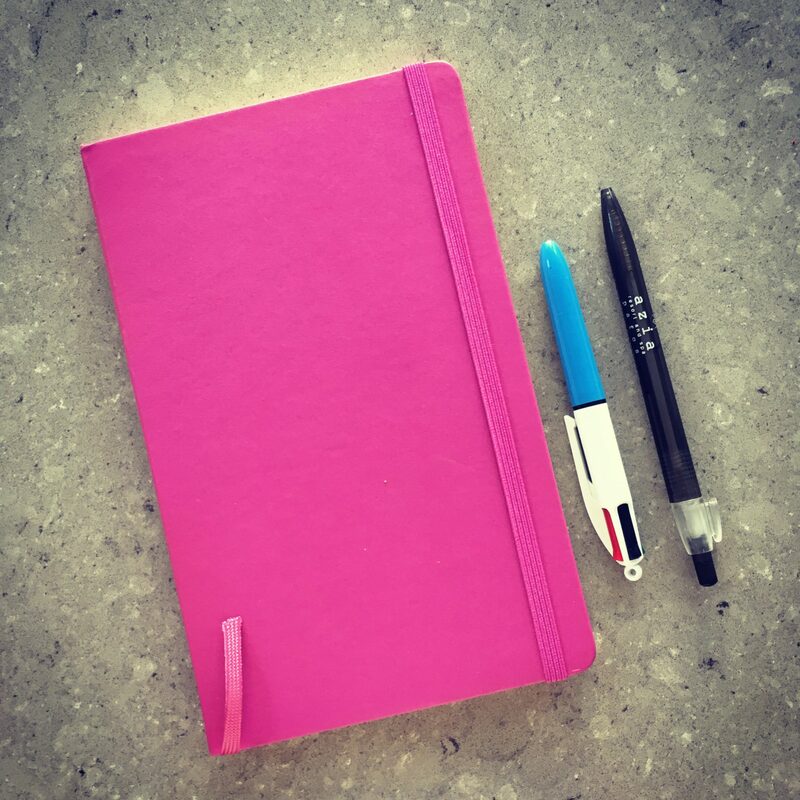 And it’s an excuse to buy a gorgeous new notebook (mine is a moleskine I picked up at TK Maxx)… It’s basically ideal for me, as I am an obsessive list-maker, but I often forget to look at my lists as I misplace them or lose track of them. The jury is still out as to whether this is going to work for me in the longterm, but so far in 2 weeks of using it I think it’s having a positive impact on self-organisation and stress levels! Check back later to find out more about my bullet journal journey! If you’re into organising, you might also like to read about my other obsession, with Marie Kondo’s tidying methods.